This work advances our understanding of children’s visualization literacy, and aims to improve it with a novel approach for teaching visualization at elementary schools. 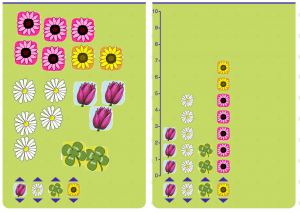 We contribute an analysis of data graphics and activities employed in grade K to 4 educational materials, and the results of a survey conducted with 16 elementary school teachers. 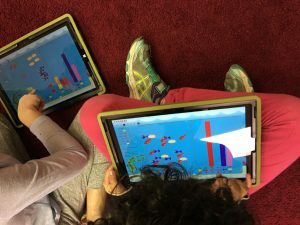 We find that visualization education could benefit from integrating pedagogical strategies for teaching abstract concepts with established interactive visualization techniques. Building on these insights, we develop and study design principles for novel interactive teaching material aimed at increasing children’s visualization literacy. 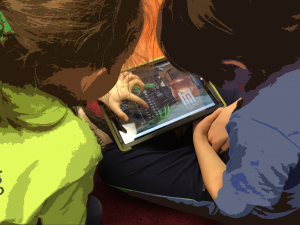 We specifically contribute C’est la Vis, an online platform for teachers and students to respectively teach and learn about pictographs and bar charts, and report on our initial observations of its use in grades K and 2. Alper, B., Henry Riche, N., Chevalier, F., Boy, J., and Sezgin, M. Visualization Literacy at Elementary School. In Proceedings of CHI 2017, to appear. Honorable Mention Award (top 5% of accepted publications).